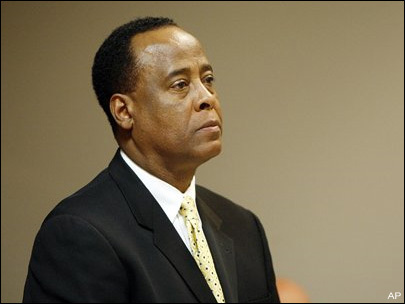 As you may have heard, Michael Jackson’s personal physician, Conrad Murray, was convicted this week of administering a lethal amount of a medication that led to Jackson’s death. While the story in itself is tragic enough, what I observed to be almost equally as tragic is the reaction of onlookers – principally fans of Michael Jackson’s music – who cheered and rejoiced at the downfall of another human being. Dr. Murray was found guilty by a jury of his peers, and there are consequences to pay when one is found guilty of a crime, beyond a shadow of a doubt. But he is still a human being, a person who, like those cheering onlookers and the rest of us, is in need of God’s grace. Seeing this response reminded me of the reaction of the children of Palestine and other parts of the Middle East when they learned of the bombing of the World Trade Center on September 11, 2001. The children – people who often are the quickest to give the benefit of the doubt – were cheering in the streets at the news of the massive loss of American life. Neither of these reactions is good, right, or helpful to the human cause. Why do people find cause to rejoice in the suffering (just or unjust) of others? Some are wont to say, There, but for the grace of God, go I. That might be a reasonable reaction. But cheering is not. We can believe that something is wrong, that something is unjust. That’s appropriate, even healthy, as a form of discernment. How we react to that wrong, that injustice – that says more about us than about another. Today, when we remember the hard work and the suffering of those who fought and died to maintain our country’s freedom, we do well to remember that those brave people fought and died to maintain our right to believe that others are wrong. (That, folks, is what the real meaning of tolerance is.) I don’t think these folks gave themselves in war so that we could cheer and rejoice over the suffering of those whom we believe to be wrong. Don’t let evil conquer you, but conquer evil by doing good” (Romans 12.19-21, NLT). Peace to you, as you give thanks for your freedom today.